For a limited time, get a FREE 10oz bottle of Organic Coconut Aminos with your purchase! 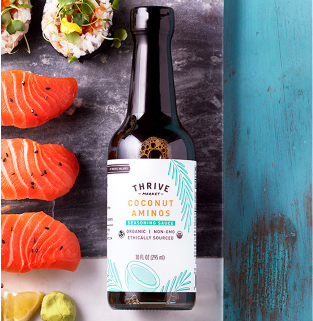 Coconut aminos provides the same sweet-yet-salty umami flavor as soy sauce and its wheat-free cousin tamari, but offers a big difference when it comes to nutrition. Because coconut aminos is made from the organic sap of the coconut tree, it can have anywhere from two to 14 times the amino acid content of soy and contains 65 percent less sodium. Our liquid aminos is not only 100 percent free of soy, but also free and clear of gluten and GMOs, making it an ideal seasoning for any diet. Ready to try it for yourself? Get your FREE Bottle of Organic Coconut Aminos now!